Line 6 is a market leader in digital modelling amps and effects. Their range of guitar amplifiers (combos and heads), all featuring amplifier modelling software, includes the Spider V series, Amplifi family, Spider Classics and the DT25 tube amp. The company was founded in 1996 and is based in California with manufacturing in China, now being part of the Yamaha Corporation. Line 6 set out to meet the needs of today’s guitarist by harnessing technology to turn a wide range of great tone into a reality for every guitarist. Line 6 amassed a noteworthy collection of sought-after vintage amps and effects and started meticulously measuring and analysing every tonal aspect of the amps, effects and their associated circuitry. Since an electric guitar produces an electrical signal, each element of the circuitry that alters the tone of the guitar is in fact processing that signal. By creating software models in DSP (Digital Signal Processing) of how the guitar signal is processed by these circuits, Line 6 had the ability to connect up and control these virtual circuits in any way. 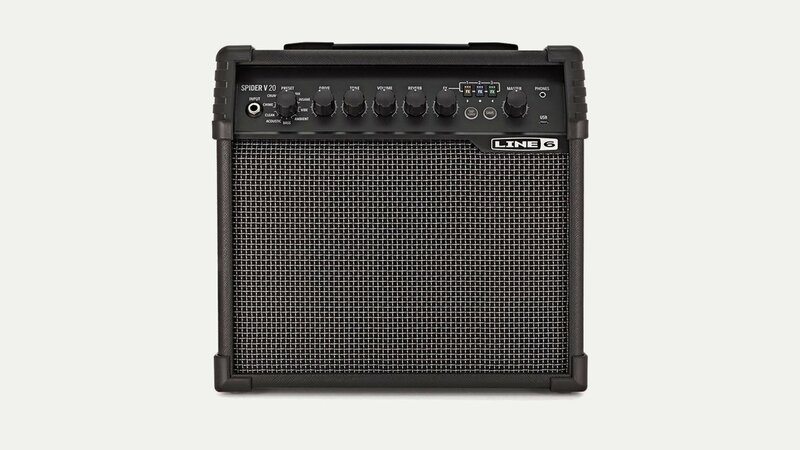 After years of research and playing, Line 6 launched a patented technology in 1996, with the world’s first digital modeling guitar amplifier, the AxSys 212. This product provided users with models of dozens of classic guitar amplifiers, as well as a complete arsenal of stomp boxes and effects. The AxSys quickly took off and led to the further development of Line 6’s technology into a comprehensive line of guitar amps within all price ranges. Only a year later Line 6 launched the next guitarist tone revolution: POD. This kidney bean-shaped desktop device went beyond just the modelling of many classic amplifiers, it was created to solve another critical problem that had plagued guitar players: recording great guitar tone.